God calls us to use our freedom in Christ to serve one another in love. In part 7 of Galatians: Freedom in Christ, Pastor Dan Cox reads from Galatians 5:1-15. Failure to take hold of your freedom in Christ is a return to spiritual slavery. 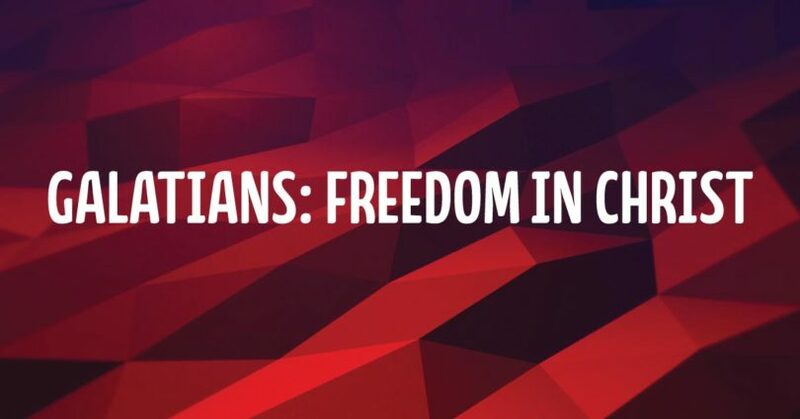 In part 6 of Galatians: Freedom in Christ, Pastor Dan Cox reads from Galatians 4:8-20. God has set you free from the harsh demands of the Law and made you His child by His grace in Christ. In part 5 of Galatians: Freedom in Christ, Pastor Dan Cox reads from Galatians 3:23 – 4:7. We are saved by faith…and sanctified by faith. In part 4 of Galatians: Freedom in Christ, Pastor Dan Cox reads from Galatians 3:1-14. Stand firm in the true gospel no matter what. In part 3 of Galatians: Freedom in Christ, Pastor Dan Cox reads from Galatians 2:1-21. If God can forgive, transform and use a man like Paul, He can do the same for you. In part 2 of Galatians: Freedom in Christ, Pastor Dan Cox reads from Galatians 1:11-24. The true gospel proclaims that we are saved by grace through faith alone. In part 1 of Galatians: Freedom in Christ, Pastor Dan Cox reads from Galatians 1:1-10.